The Eades family of Arizona is holding a benefit car show to help fund their charity, the Jennabears Foundation. Here is an excerpt from their site, detailing what they do, and why they do it. It is truly a heart touching story. Celebrating Jenna’s life by making a difference in the lives of children and families! In March of 2007, the lives of the Eades family were tragically changed forever. Their beautiful 6 month-old daughter, Jenna Lynne, was fatally injured and their oldest daughter, Hayley, was critically hurt when a truck violently rear-ended the vehicle they were riding in. Hayley miraculously survived her injuries, but the impact was too much for little Jenna. Jenna’s parents always called her ‘Jennabear’, the inspiration for the name of this organization. During their hospital stay, the Eades family noticed many children who were hurt and scared, yet, had nothing to comfort them. At times, not even a parent. Six weeks later, they brought the bears Hayley received during her stay to those children…they loved them! The Eades’s then became determined to make a difference through Jenna’s memory… The Eades family now runs Jennabears to help ease the pain felt by children and families affected by a tragic event/illness (car crash, cancer, ect.) 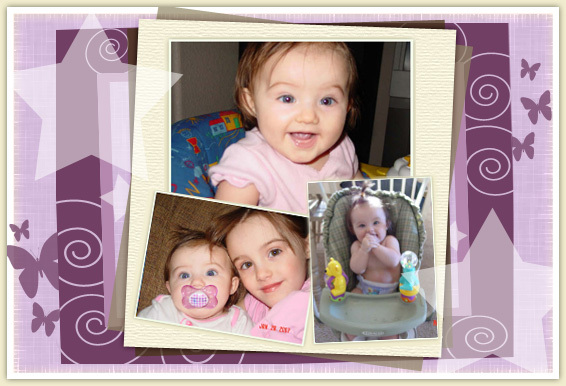 in memory of 6 month old Jenna Eades. “We will have events to raise funds to advance in our mission throughout the year, so keep an eye out on our events page. The bigger we get, the more we will be able to do. We want to make a difference. And this Foundation along with many children and families need your help. Thank you for your support! So here’s where we get involved: Chris and Nicole are good friends of ours. NICOclub is proud to be attending The 4th Annual Jennabear Benefit Car Show, which will be held in Peoria Sports Complex, in Peoria, Arizona, just north of Phoenix. We will be there with a few of our own Nissans and Datsuns, and would love if some other enthusiasts could come out and support a great cause! All makes and models are welcome, and more details, inlcluding show registration, price, ect. are on the Jennabear homepage.